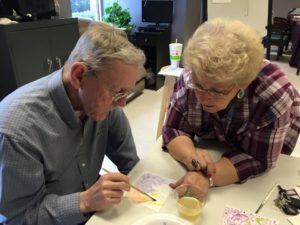 Mindful Care provides a year-round, 5 day-per-week, person-centered, non-residential adult daytime activity program for people age 55+ who are suffering from memory loss, social isolation, and other health challenges. Family caregivers have relief from their continuous caregiving duties while our trained staff provides meaningful activities for their loved ones at an affordable fee. The program supports elders by promoting memory and cognitive function, and sustaining physical wellness. This is a social model daytime program, therefore, medical care is not provided by the staff. A high level of independent judgment is needed in decision making and in completing required duties. We are looking for candidates interested in stability and long term employment. To be successful in this role, one must be a CRAFTER. Minimum of a High School Diploma or G.E.D. Physical ability to perform manual work including lifting and bending. Must possess and maintain a good reputation for honesty, integrity, and confidentiality. Excellent human relations skills with the ability to communicate effectively and deal courteously with the public, fellow employees, volunteers, day services participants, families and caregivers. Ability to report for work on time and perform job responsibilities in a timely manner. Ability to perform required tasks of caring for elders with dementia. Overview: We are looking for a positive, compassionate Activities Assistant to schedule and coordinate events. The Activities Assistant will create and handle the logistics for daily, weekly, and monthly events in an effort to engage clients, residents, or patients. They must be a CRAFTER. 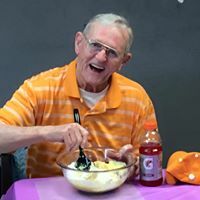 To succeed as an Activities Assistant, you should strive to stage entertaining, engaging activities that will appeal to the age and physical or emotional condition of the client. You should be observant, driven, creative, and caring. Compensation: $12 per hour. Some flexibility between the hours of 8:00 a.m. and 5:00 p.m. three days per week. and put them away afterwards. equipment appropriate for stimulating activities. for working with older individuals with dementia and/or cognitive impairment. Operate copy machine, computer, and other office equipment as needed. Job Type: Part-Time, for Tuesday, Thursday, Friday, 8am to 5pm, $12/hour.